Since moving the roasting operation and the coffee bar to 171 Mass ave in Arlington, we've made continual changes. With the patio coming up, we felt like the coffee bar needed something special to add a new element to the space. To accomplish this, we have installed a new section of bar in the back to house our music station. 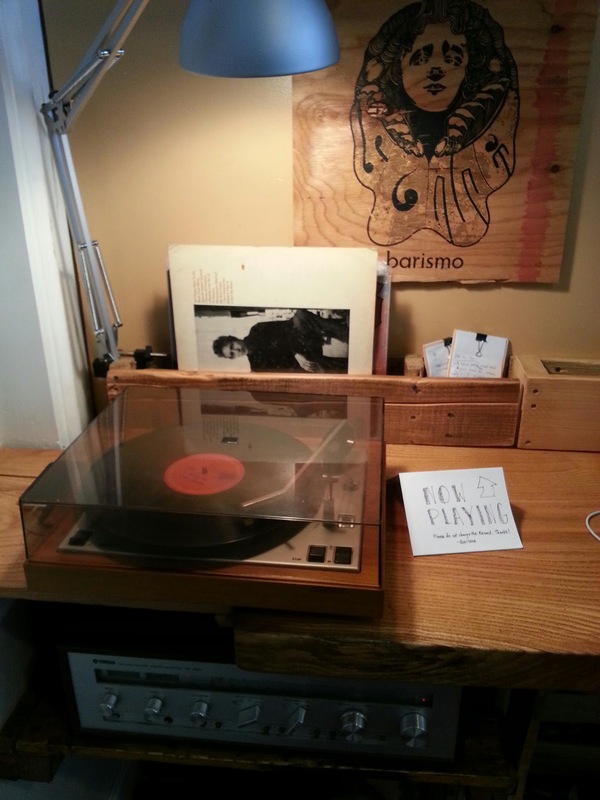 Taking some pallets and a nice piece of Honey Locust, we built out a small bar with a record player to give us a wider range of music. Next time you drop by, take a peek.